If you would like to learn more about dystopian literature in general, or about specific types of dystopian books then feel free to check out those websites for more information. What Can Dystopian Literature Teach Us Today? While most dystopian works have their main focus based on the idea the author has, an interesting theme in my mind would be what general rules do all dystopias teach us? Dystopian literature was appearing as early as the the late 1800's, so obviously there are plenty of lessons we still haven't learned yet otherwise why are authors still churning out the dystopian works and why are we as readers still eating them up? While Brave New World, 1984, It Can't Happen Here, Fahrenheit 451, The Handmaid's Tale, and others have very different visions of a future and different social and political messages - but what can they all teach us? What's in common? After reading dozens and dozens of dystopian novels and lapping up every movie I can find in the genre, here are a few intereting lessons I think we can learn from the general field of dystopian work. One of the common themes is extremism, and this is a lesson that I find particularly interesting because every fan of dystopias will immediately nod in agreement - and yet many fans of these same books won't get the irony that they accept one type while castigating the other. While this won't be true of everyone, it's funny how often a huge fan of the book 1984 will bash right wing extremism, but then make blanket defnitive statements slamming all conservatives or right wing beliefs. But what does Brave New World teach us if not the dystopia that can result from left wing social extremism? The point is that no one side has 100% of the answers and truth - and it amazes me that both sides of the extreme claim fear through various fictional works but then see nothing wrong with being extreme in their own way. The problem with extremism at its core is exactly that: it's too extreme. Extreme right wing might fear extreme left wing, and extreme left wing fears extreme right wing but at the end anyone who believes that any social or political argument is an "all or nothing" point of view is just setting up a dystopian culture. One radical's utopia is always going to come at the cost of another juxtaposed movement. Yet sadly in the U.S. the "all or nothing" view of politics seems more ingrained than ever which is sad because plenty of charts and surveys show that the majority of the population is not 100% radically one side or the other. Well before the cult classic movie Idiocracy (although that probably wouldn't happen everywhere) you had the serious book Fahrenheit 451 written by Ray Bradbury, both focusing on the dumbing down of America as being an absolute cornerstone of a dystopian future, and one that is to be feared. While Mike Judge's movie takes a tounge in cheek approach, it still offers up a terrifying, if exaggerated (we hope) version of what the future might bring. Books are most often second class citizens to movies, social media and iphones trump self-improvement, and smart TV comedies are canceled for more mind numbing (melting?) reality television and let's not forget armies of video games. Whether it's through propoganda, anti-intellectualism, or mind killing entertainment, the dumber a population the easier it is to create a dystopian society. The current lamenting about entertainment getting dummed down and the education system following might be overblown, but there are studies saying otherwise. This is one of those problems where however hard it might be to measure or prove, many of us seem to agree that it is a problem and it's definitely adding to problems mentioned further on this list: like a complete lack of subtlety or recognition of subtext in political or social arguments. See lesson number five further down for more on that. 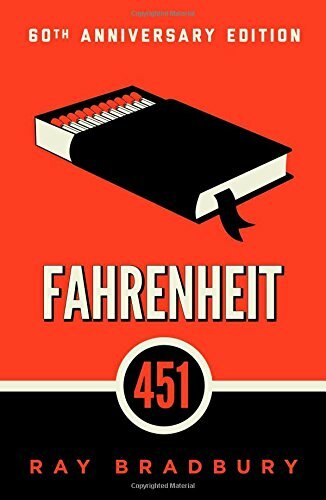 This novel is the masterpiece of Ray Bradbury's writing career and an amazing example of dystopian fiction that turned out to be eerie prophetic. This book is one of the common "big three" of dystopian novels along with "1984" and "Brave New World." How do so many of these dystopian societies form? People looked for freedom in philosophy, in religion, in a strong leader, in a military defense, in a new political party...all of these things can be good in moderation but notice how each one searches for a solution outside of one's self. This also brings up the question of how to solve anything. To get an entire mob of people willing to be controlled, you need to start with individuals willing to accept blanket answers, large groups of individuals looking for an answer on the outside. There's tons of directions this can take, but I find it interesting because each dystopia relies on people who find themselves willing to give away rights, thoughts, or beliefs for the idea or appearance of security or entertainment. It's kind of like the old axiom that supposedly was a common saying among con men: lying is a partnership. Someone has to be willing to be deceived in order to get lied to and fooled. Not every problem can be solved from the inside out, but having a solid anchor definitely helps as a starting point. Few dystopias claim to happen over night, and in a similar way in real life it's a rare event when something "just happens" on a government or grand rights scale. There's always build up, always basic set up. While news stories in 2013 are railing about the NSA monitoring e-mails and drone use, with special venom toward's Obama's White House for using said powers, don't forget many of these indignant people were the same ones supporting the 2001 and 2002 laws that became the PATRIOT act and actually granted these rights. You can't use laws to erode civil liberties of one group and then complain when someone from a differnet political party uses the same rules to erode the influence of yours. In other words: whatever laws are passed when a guy with a "D" or "R" by his name is President will be used just as strongly by the next one who has the other letter. Once that road starts, there's no turning it back. There is no such thing as selective rights. This reason goes unspoken in dystopian work, but maybe is the most relevant if we're doomed towards some kind of dystopian apocalyptic future it's probably for this reason. Most people assume they're right. All the time. On everything. The "need to be right" is perhaps the most damaging part of any person's personality because it often results in viciously defending beliefs even when evidence has shown them to be completely off base. Especially when dealing with complex problems with many causes, this is damaging because each "side" can point to examples that supports their claims while ignoring everything else. Look at almost anything argued about in politics. Can you tax your way to prosperity? No - but you can't create a healthy infrastructure with no funds, and by the way: taxes on corporations and the extreme wealthy are lower now than the Reagan years. Not the normal picture being painted, is it? Do you really believe 100% of crime will be solved by alleviating poverty, increasing education, and gun control? On the other side, if you're all for more cops and prisons are you really going to look at the correlation between poverty and crime, education and crime, and say those have nothing to do with the crime issue? Most of these problems have multiple causes, multiple correlations, and multiple factors. Because of this, you can't just give a simple one way solution and stand by it no matter what - because the problem will never get fixed. A hammer is great for nailing boards together, but you can't build an entire house with it and nothing else. Those are five lessons we can still learn from dystopian fiction - no matter what the slant of the author's world. I guess the question of where we go from here goes to your opinion of human nature: can we learn and can we change? I think we're all still looking for those answers. More complexity, a willingness to search for subtle answers and causes, understanding of other beliefs, and the willingess to let go of old philosophies that don't work. Are humans inherently selfish and evil? Can we achieve higher thought and ways of living (the real deal, not claiming to be both while then bashing everyone else who doesn't agree with you), or is that a dream? The best we can do sometimes is leanr the lessons that dystopian works have to share with us - and let them teach us individually. Sometimes that's the best you can do. Is this the dystopian future we're heading to? 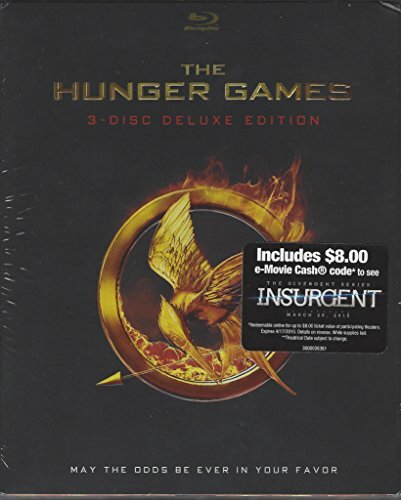 This Blue Ray and DVD special edition of The Hunger Games is a great watch and a good addition to any collection of dystopian movies. Thank you - I know it's a bit out there but I've always loved dystopian writing and thought this was an interesting angle I haven't seen anyone else take on it.